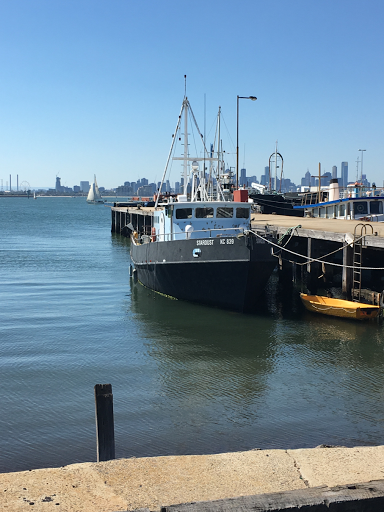 I drove to Williamstown this afternoon. 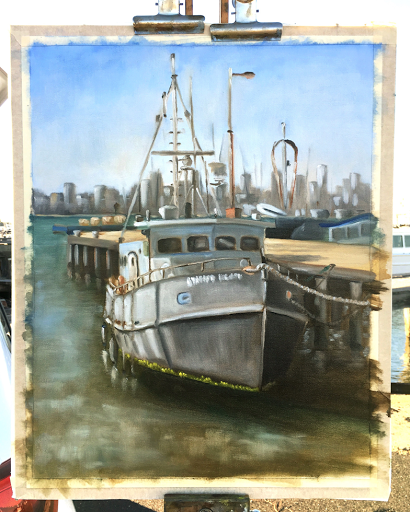 Because it's Sunday, it was very busy in town, so, I decided to go to Sea Works and paint a boat, 'Stardust'. It's only a few minutes from a hustle and bustle, kind of a hidden gem. It's always very peaceful, therefore, a perfect place to paint. The only problem is there's no shade, and it's very difficult to paint in summer. 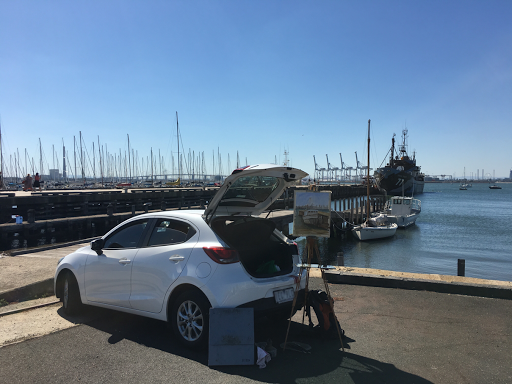 Today, I set up my easel like this, so that I get some protection from direct sunlight. It worked. I didn't get burnt today. Well, the ship you see behind is Steve Irwin. Sea Shepherd has an office here, and there was some event going on. ABC News was there. I wasn't in a mood to discuss politics, so I just ignored them. I spent 3 hours. It was a beautiful day.